ImmoScout24 is the biggest marketplace for real estate in Switzerland. Find your new home here. ImmoScout24 provides more than 80‘000 offers: Houses to buy, rented apartments and freehold flats. A low-cost studio apartment for a single person in Lugano, a flat in Berne, a mansion in Zurich or a twin-house in Lucerne – we have a match for every wish. ► INTUITIVE SEARCH FUNCTION: Search for a mansion or an apartment, and filter the results by the number of rooms, square meters, price or other criteria. Find an idyllic house in the countryside, a freehold flat in the town centre or a low-priced room in a flat share. ► VARIOUS OFFERS: Find real estate of any kind – no matter if you prefer a suburban granny flat, an attic overlooking Fribourg, a 1 bedroom apartment in downtown Basle, or even a prime location villa close to Geneva, Zurich or Lake Thun. ImmoScout24 not only offers residential buildings, but commercial property, undeveloped real estate and parking space as well. ► CONVENIENT MAP: Search for apartments in your neighbourhood or in your favorite district by using the ImmoScout map. Explore your new home’s environment with Google StreetView. ► COMPREHENSIVE DETAIL-VIEWS: The detail-views provide all data including the number of bedrooms, square meters and price at first sight, as well as a photo gallery and the contact details of the property’s owner. 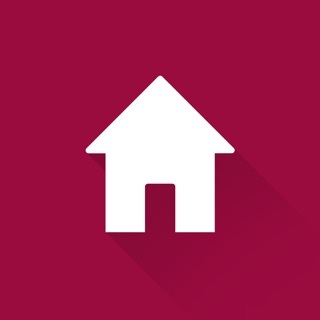 ► AUTOMATIC APARTMENT-HUNTING: Save your search criteria for your new home once and get a push notification every time a new house or flat listing is set live, which matches your request. ► CROSS-DEVICE FAVOURITE LIST: Save interesting flats and houses in your watch list and sync it with all of your devices. Access your favourite property anytime and anywhere. ► USEFUL ON-TOP-SERVICES: Get additional information for any real estate, f.e. a guidebook for the township or offers by relocation companies. ► HANDY SHARING-FUNCTION: Share ads which you like with family and friends by mail, text message, Facebook, Twitter or Whatsapp. ► EASY ADMINISTRATION: You are a real estate seller, landlord or broker? Keep track of your listings and manage your ads simply with your phone. Selling and renting your property has never been more simple. ► PROFESSIONAL CUSTOMER SERVICE: Get in touch with our customer service via e-mail or phone. Send your message to helpdesk@immoscout24.ch or call +41 (0) 31 744 17 40. It’s good app to find apartments and houses. However I would like to be able to see English or even be able to copy and paste.